LBBB is a common ECG abnormality .The ECG is so classical , no one ever misses the diagnosis. But , what we miss often is the significance of it . What is the cause of LBBB in a given patient is much more important than the LBBB itself ! Though the commonest cause of LBBB is a benign one (Pure electrical defect without any valvular , myocardial or ischemic heart disease ) , it is prudent to rule out organic LBBB . The term organic here refers to structural or ischemic etiology . No one knows how to recognise NSTEMI in LBBB. Logic would say, primary ST depression might occur. How sensitive it is , and which lead to look for is not known. Here is an ECG of a patient who came to our OPD absolutely asymptomatic for a routine review . 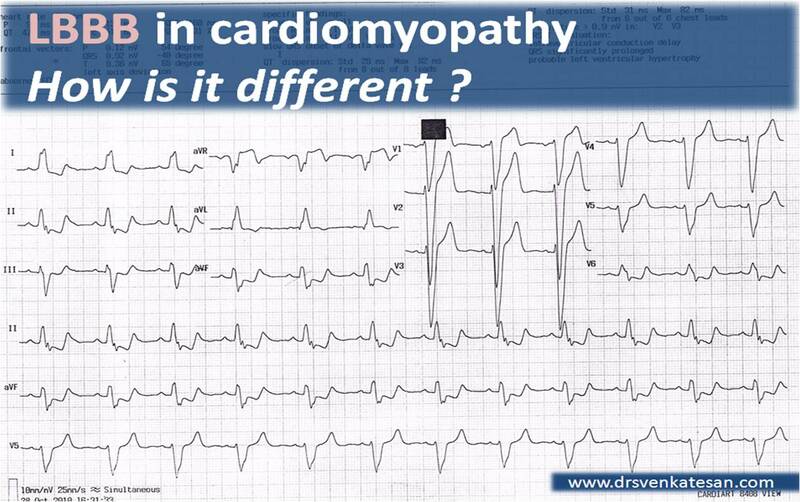 He is been diagnosed as a case of dilated cardiomyopathy with 30% EF and no evidence of ongoing ischemia.If the history is not known he would have been diagnosed as a ACS. QRS notching or slurring either in the r wave or s wave. Atrial abnormalites as evidence by wide P waves. Counter point : When we have facility to do bedside echo , why should we scratch our heads ? Do not waste time , do a spot echo . . .
Echo can be very useful in ruling out cardiomyopathies and old MI.But remember , echocardiography is unpredictable to detect acute septal MI in the presence of LBBB , as paradoxical motion of IVS tend to mask the ischemic wall motion defect .A simple clue is normal systolic wall thickening will be observed in benign LBBB , in spite of paradoxical motion .This thickening appears as post systolic beaking that face posteriorly . In STEMI and LBBB thinning or absence of thickening is expected. MASS 2 , 10 year follow up study : A shot in the arm for CABG ? MASS 2 study , the 10 year follow-up results are just out in circulation september 2010 . It is a rare study , where “one to one vs one” was compared ie the effect of medical, CABG , and PCI in chronic CAD .This was done in a single centre in Brazil, between 1995 -2000 . It was followed up till 2010. Interestingly , such a study may not be possible in the future , as many of us have prematurely glorified the PCI and CABG over medical therapy . Recruiting patients for medical therapy alone is becoming a difficult job even in developing countries. Even if we recruit , huge cross over is likely to PCI, CABG for all fancy reasons. So , in MASS 2 we have a rare treasure on hand . . . Let us give three cheers to those Brazilians who did this study , and shall carefully analyse and interpret the results. A total of about 600 patients with 200 in each group. Need for crossover from medical to surgery and PCI to surgery was significant. CABG tended to prevent future MI in this study . This could be most significant observation from this study ,( A revelation in fact ! ).It is against the popular belief created by CASS legacy. What are the observed difference between MASS 2 – 5 year results , which was published in 2004 , and the 10 year follow-up , as on 2010 ? At the end of 5 years in 2004 , the differences among the three groups were not obvious.The benefits of CABG mainly appeared after the 5th year and at 10 years it was significant. It is a single centre study .Numbers were less (600) . It need to be emphasised CABG was done with pump in all patients . So the currently prevalent off pump CABG may not be really comparable with reference to outcome. In medical limb , statins were not used in all. Further , the dose of statins were not aggressive.This makes medical therapy appear less effective. Medical therapy + CABG . Every patient in all three groups receive statin , antiplatelet and beta blocking drugs and so on. Even though statistics would vouch for additional benefit , over and above medical therapy , in a given CABG individual , how much of the the accrued benefit is contributed by co- administering medical therapy .It is beyond reasoning even with all gimmicks of statistics. To exactly quantify the individual benefits and efficiency of PCI , CABG and medical therapy two more study limbs are necessary . Such a study is possible only in a virtual world ! . Decision making in favor of CABG , especially in chronic stable angina , will continue , to be difficult in the absence of refractory angina .This is due to the modest benefit of CABG , that is expected, at an additional risk , cost and expertise. Please remember, a person can survive , only with medical therapy for > 10 years but no one can ever live with PCI or CABG for that period of time without adjunct drugs . Guess which modality is going to win the race against CAD in the long run ? 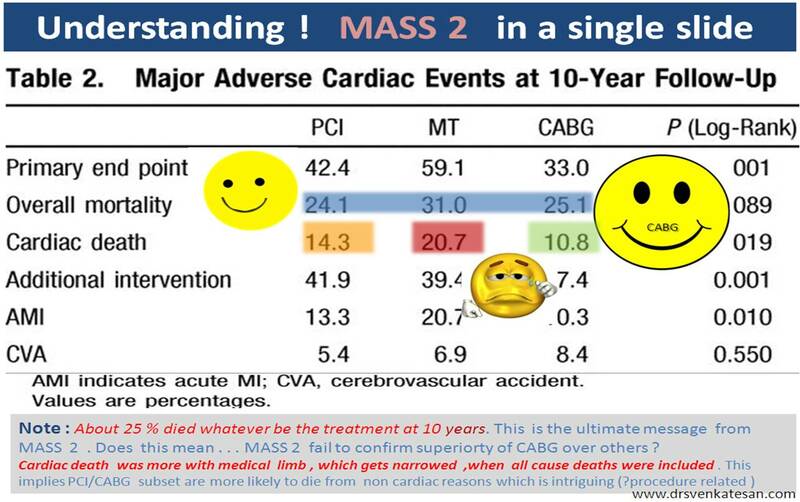 If any one asks for conclusion of MASS 2 study , don’t ever say “CABG is superior to medical therapy” . Please emphasize , “CABG + medical therapy could be , marginally superior to medical therapy alone in some of the patients with chronic stable angina. (Each word in the above statement is important !) . So . . . MASS 2 : Is it a shot in the arm or shot in the head for CABG , we do not know ! Brazil is not only known for the glorious sport of football . In the medical field they are among the leaders in cardiac surgery .When cardiac surgery was at it’s infancy even in USA and Europe , one man showed the ultimate determination to take cardiac surgery to the virtually unexplored region of south America in the 1940s and 1950. He is the pioneer of cardiac surgery for the entire continent. Picture courtesy . 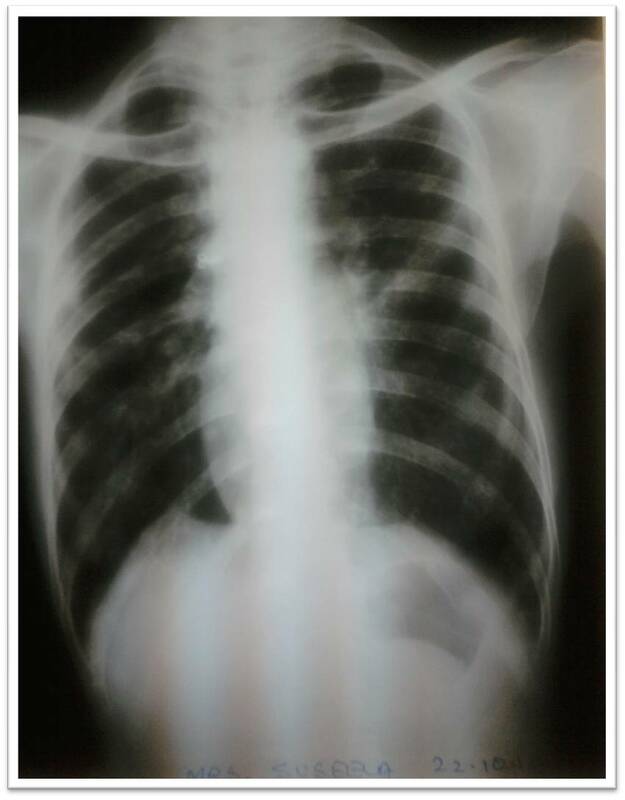 Annals of thoracic surgery . He is the founder of INCOR . 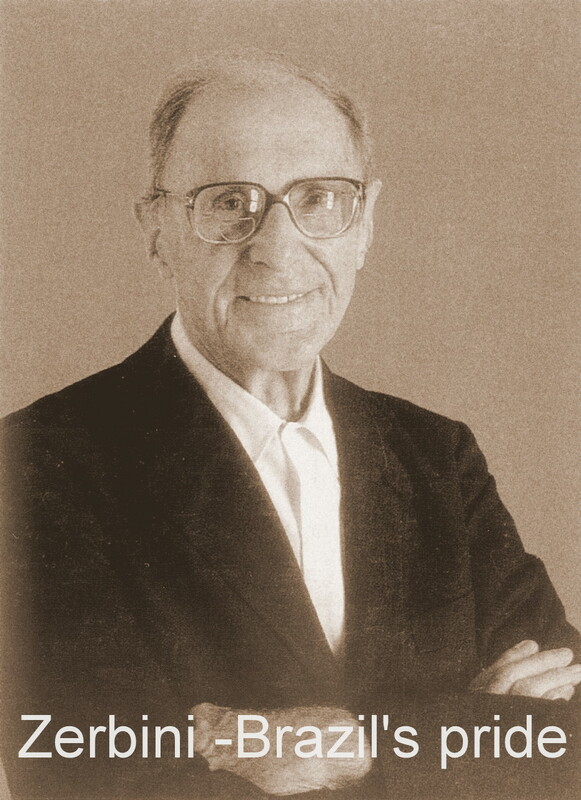 Now , Zerbini foundation is carrying the legacy of this man. He has trained so many cardiac surgeons that makes Brazil one of the hot destination for hi tech cardiac surgery .Recently the foundation sponsored the landmark study called MASS 2 which compared medical, survival and interventional forms of treatment. Lesser known journals in cardiology and cardiac surgery : This one is from Brazil ! This journal , dedicated to cardiovascular surgery from Brazil is doing a great job. Most of the articles are free.The Brazilian progress in cardiology and cardiac surgery is a “No mean” achievement. Learn for yourself how the country , which many think is not yet developed is doing pioneering research and perform state of the art cardiac surgeries. Often their concepts and techniques are so unique and innovative , evoke criticism in other quarters. It is ironical , some of the mediocre journals from affluent countries are making waves , this one deserves much better recognition ! 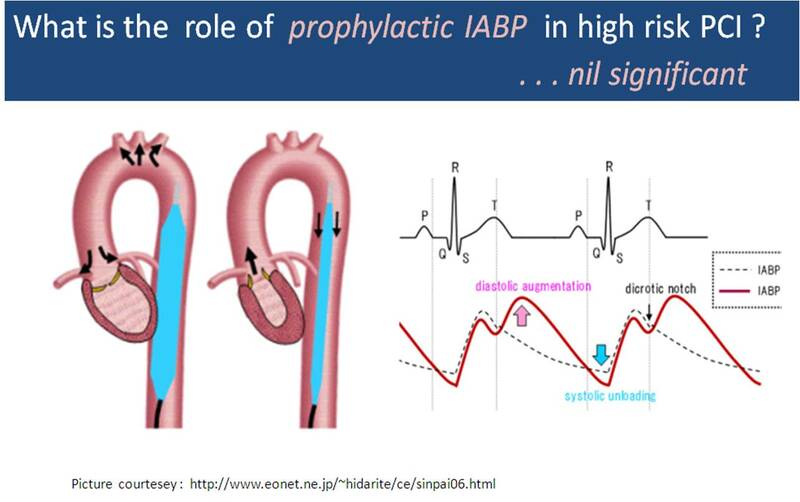 Cath lab teasers : Routine prophylactic IABP does nothing ! IABP is thought to be the savior when PCI is done in severely compromised left ventricle and in other high risk angioplasties. Without verifying the facts, routine use of this device became rampant in cath labs around the world in the last decade . Everyone strongly believed , IABP plays a major role in sustaining coronary perfusion during complex PCIs. Then the favorable experience started pouring in, from many cath labs without IABP support . Common sense struck us , and some one asked this question . Should we routinely insert IABP in all cases of high risk PCI. ? Can you do a high risk PCI without IABP back up facility ? In academic sense “No” . IABP service is not available in many cath labs in India for various reasons .But it does not become a contraindication to attempt PCI on them .At least , we should have facility to shift the patient to a nearby advanced cardiac care centre in case the need arises. In plain language (Politeness removed !) routine prophylactic IABP is not only useless , it could also carry a danger of access site , procedure , expertise (Lack of it ! ) related hazards. Remember the Swan Ganz story ! It is a great journey , the heart begins on the 22nd day of fetal life from a pair of tubes. It joins , folds, bends and grows into a 4 chamber power house and works like a bull for the next 70-80 years , before retiring. It is an irony in certain population with chronic obstructive pulmonary disease (COPD) heart is stretched , elongated and assumes a tubular shape (Memories of the primitive fetal heart tube !) .The LV cavity becomes small , RV and LV gets aligned one behind the other bringing the CTR further narrow. Somes cases of hypoadrenalism(Addison) due to chronic volume hypovolemia and underfilling of the entire vascular system that includes the heart . Here is a patient , 50 year old female with severe emphysema and contracted and elongated heart. End diastolic volume was critically low at 40ml . She was complaining of class 3 dyspnea.It was primary attributed to COPD but the contribution of under filled LV and resultant diastolic dysfunction is often overlooked. This is a relatively common abnormality of IAS. It is often observed as IAS bulging into left or right atrium in routine echocardiogram.If this happens without atrial hypertension it is termed as IAS aneurysm . This is due to valve of foramen ovale bending into the RA/LA* cavity for various distance. By definition , the radius of curvature of the bulge should be more than 10 mm to label it as IAS aneurysm. More often observed in association with PFOs or ostium secundum ASD. The septal bulge can be static or dynamic . It could swing into LA, RA, and back to LA or vice versa. Anatomically 5 types are proposed. Multiple fenestration in the aneurysms have been noted. Aneurysm formation may aid in spontaneous closure of ASD. IAS aneurysm tend to aggravate stasis of LA blood flow and predispose to minute LA clots and systemic thrombo embolism . IAS aneurysm can act as an arrhythmic focus , generating focal atrial tachycardias. A non ejection click may be occasionally heard as the IAS aneurysm bulges and tenses within LA/RA cavity . 2. Longhini C, et al. Atrial septal aneurysm: echocardiographic study. Am J Cardiol 1985;56:653-67.